Each week, Rev. Ritter delivers an inspiring message based on current topics and the Holy Scripture. 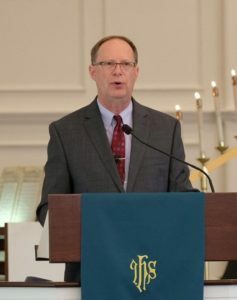 Read and enjoy his recent sermons. October 21 - The G.O.A.T. September 30 - Whose Side Are You On? July 30 - What to Wish For?